Does your life science business set up shop at The Frontier in RTP? 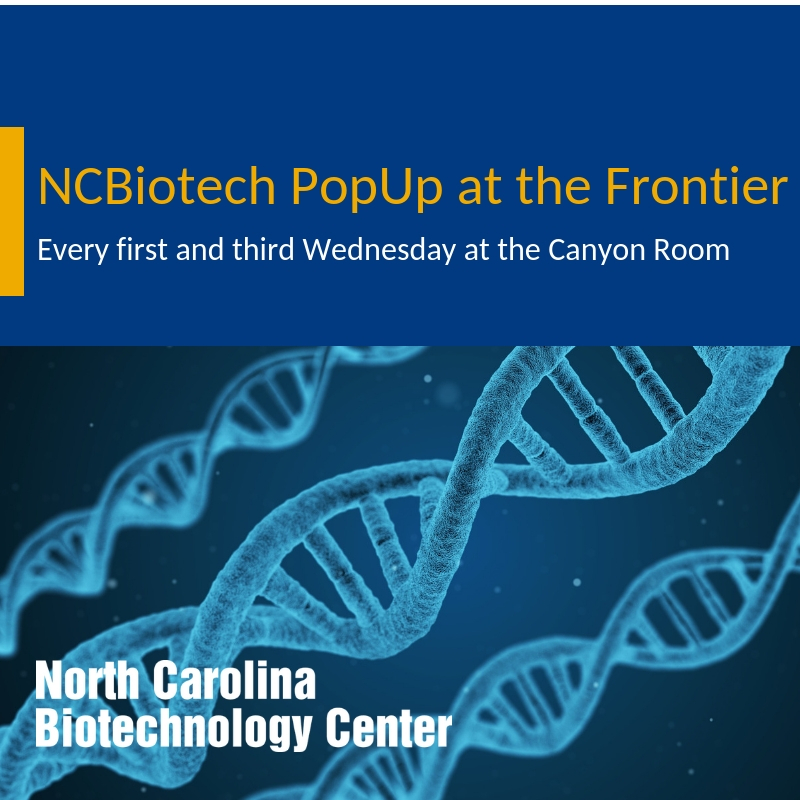 Join members of the NCBiotech team every first Wednesday at the Frontier’s Canyon Room to explore how NCBiotech can give your company an advantage. Drop by our office hours to discover how to find the right data to inform your business strategy, learn more about connecting with North Carolina Biotechnology Center resources, or take advantage of our free life science market research reports. We'll have our market report collection on-site, as well as fee-based funding, deal and drug pipeline databases access.